The theme that I focused on during this week was smoking. Intrinsically humans understand that there is separation between those who do and those who don’t, but we forget about some of those divides that we see in every day life. Smoking is a public activity that creates a visible divide between people. There are those who smoke and those who don’t mind interacting with those who smoke. There are those who act elitist and preach the dangers of smoking. There are those who scrunch up their noses when they walk past smokers. There are those who are apologetic because they themselves do not smoke. There are those who were raised with grandfathers and fathers who smoked so they smoke too. We walk down the stairs. just tip tap against the brick. into their empty dark eye sockets. It’s been about a month since I’ve begun my research for the Dietrich College Honors Fellowship Program, and I’m happy to say I’ve finally found what I believe is the perfect balance of work and play within my schedule. Since beginning my freshman year at CMU, I have worked as a part time employee and the Carnegie Mellon University Store. Though research is my full time job for the summer, I couldn’t quite part ways with my beloved bookstore. So, in addition to my research, for the past couple of weeks I have been working at the store a couple hours a day, not only to make some extra cash (gotta pay those bills $$$$), but also in an effort to give myself some balance. Prior to starting back up at the bookstore, I was spending most of my days just doing research. Though this was quite informative, it could be frustrating at times. And, because I had no other obligations, I would just continue working through this frustration at times when it would have been best for my sanity to just stop and take a step back. However, now that I’m “back to the old grind,” I am better able to balance the time I spend on my research with other things. 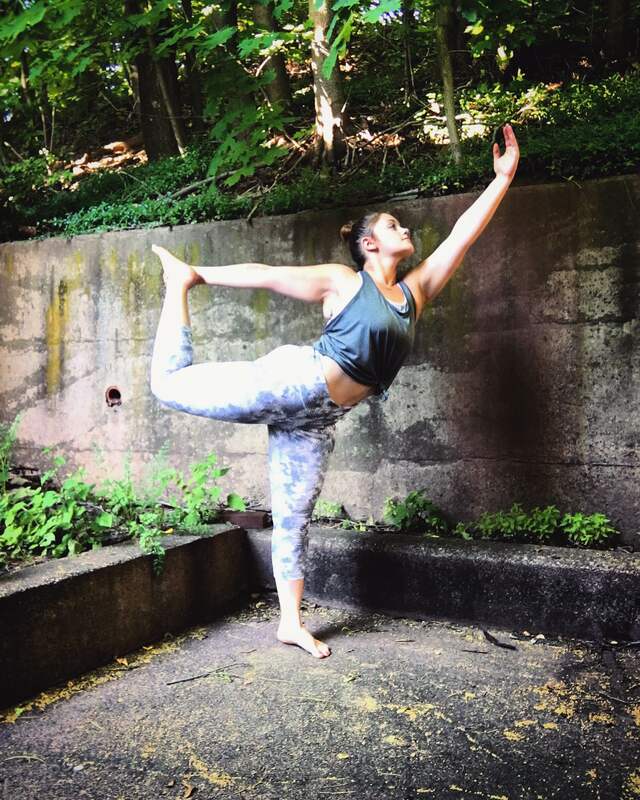 What has been most helpful to my balance this summer, however, both in terms of time and physically, has been my newest obsession – hot yoga. My wonderful housemates turned me onto hot yoga over this past year, but I never had the time (or frankly, the commitment) to go on a regular basis. Fortunately, once the summer came around, it seemed as though I had nothing but time. I signed up for a three-month pass, and though it was tough on my bank account, it’s been the best decision I’ve made in recent history. Going to yoga every day has bettered me physically and mentally, and given me yet another activity to balance my research with. One of the most misunderstood elements of the music industry is the industry itself. For many, the music industry is a narrative with artists as the most public figures, and a hodgepodge mix of agents, managers and executives who are largely unknown. “Success” is often seen as a stroke of brilliant luck, and failure often blamed on artists becoming burnt out or washed up. However, like most convenient shorthand historical narratives, this story removes many of the major characters that dominate the music industry and shape an artist’s career. Unbeknownst to many, there are countless stories of artists coming into conflict with their industry companions. For example, Brian Wilson of The Beach Boys — perhaps the most acclaimed American pop songwriter — famously shelved albums’ worth of material due to labels not believing it would be commercially successful in the market. For others, these men behind the curtain curated the success of global phenomenons. The Beatles were not just a group of musical geniuses – they had a highly developed and responsive team to assist them in all aspects of their career. 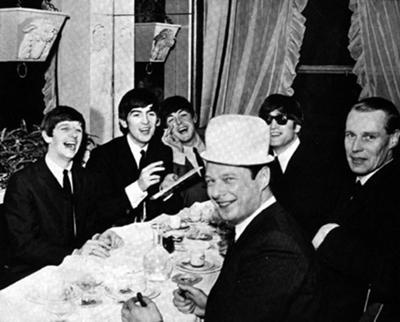 In fact it was their manager, Brian Epstein, who led them to early success by firing their original drummer, Pete Best, and convincing the group to change their wardrobe to the now famous suits and ties onstage. But how does this relate to my thesis? Well, my thesis studies how cultural factors have affected the local Pittsburgh music scene and pushed it more underground in college areas. However, I’m also interested in studying how the music industry itself has changed with advancements in technology, and, particularly, how these advancements have changed the role independent musicians play in the industry. I quickly realized that in order to understand how the music industry is changing, I had to understand its history. 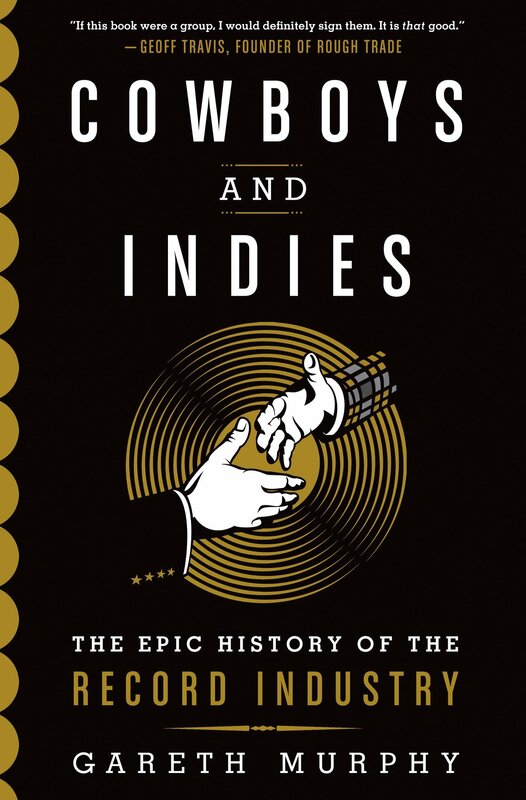 I decided to pick up a book called “Cowboys and Indies: The Epic History of the Record Industry” by Gareth Murphy. The first conclusion is this: Since the inception of the record industry with the creation of the phonograph, industry executives have always struggled to maintain monopolies over all aspects of an artist’s creation. By using a plethora of legal, financial and personal means, record executives have always sought to seek control over how artists create, and what they create. Even today, artists still come into contractual disputes with labels over issues like ownership of material, royalty distribution, album obligations and more. In the mid-1990s, Prince had a famous dispute with his label Warner Brothers, creating a string of albums (releasing three in 1996 alone!) over his album obligations to the company. The second conclusion is that, with every technological advancement, music becomes increasingly democratic and creates a new power struggle between artists, consumers and industry executives. For example, when radio first became accessible it gutted the phonograph market. It also led to a new wave of youths learning how to use the technology and privately broadcasting before a series of laws were made to retain broadcasting power in the hands of a few. This is still seen today with the debates over online streaming, and using music pirating services. The third conclusion I drew is that, as music becomes democratic, new fields of music begin to emerge in the marketplace and the record industry seeks to monopolize on these as soon as they are financially feasible. This leads to the formation of new genres becoming thrown to the forefront of the industry, and why certain periods of time are marked by the prominence of certain genres. This is demonstrated by the rise of country music in the early- to mid-twentieth century. As the technology changed, more acoustic instruments were able to be recorded and records were cheaper to produce. As a result, new markets were found for newer artists in areas like Appalachia, the south and the midwest. Realizing that there was a demand in the marketplace, the record industry prioritized creating these records, leading to a sudden boom of country, folk and bluegrass music. Within a decade, individuals like Hank Williams, Roy Acuff, Ernest Tubb and more would become household names thanks to record labels understanding and responding to marketplace demand. But Dhruva, why is this important to YOUR thesis? Well here’s the interesting thing: For decades, maybe even centuries, the music industry has confronted these three conclusions in various cycles. Yet, our current global music scene may be the first where artists can truly be independent from labels and potentially achieve total success. Technological advancements in recording, music consumption and music distribution have given more power to artists than ever before. Of course some of these technological advancements, such as online streaming, have fundamentally changed the economic landscape for many musicians (that’s a discussion for a later blog post). Yet, an artist could now create and record an entire record, and promote and release it to a global audience without the support of a record label at any point in the process. (As a side note, the Grammys recently corroborated this point with an announcement that they are allowing online streaming albums to be nominated for awards). Connecting this back to my thesis, this is a major shift in the music industry. Especially looking at a city like Pittsburgh, where a large chunk of the music scene exists in DIY spaces, it raises questions and challenges the narrative around an artist’s success. Artists may have the ability to actually shape and curate their own careers from the ground up. 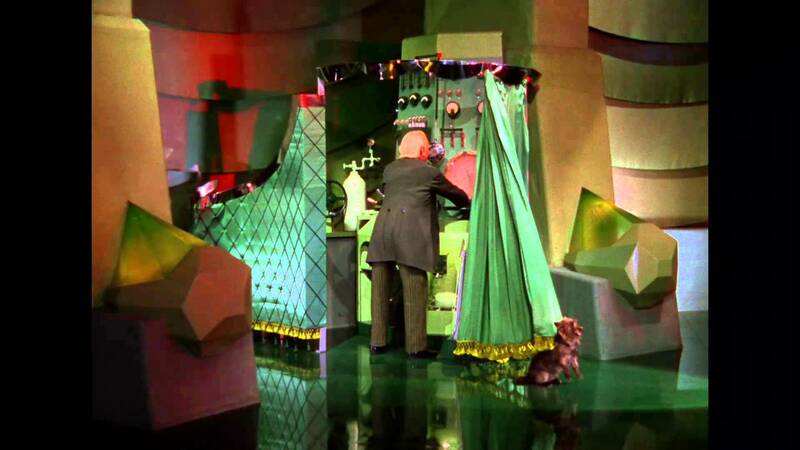 Whether or not the man behind the curtain is there to help, artists now have the choice to follow the industry’s yellow brick road or forge their own path. Am I doing enough? Am I doing too much? Is this article relevant? Should I stop? Should I keep going? Over the past week or so, I found myself asking myself these questions repeatedly. I felt somewhat lost, apprehensive and uncertain about my work. I was worried that I was losing momentum because of my anxiety, so I reached out to the heads of the Fellowship program and my faculty mentor. I was given advice that I can apply to my current research and for future projects – the questions that I was asking myself were completely normal, and it was okay to doubt myself once in a while. With the help of a large iced coffee and a good Spotify playlist, I’ve been able to sit down and focus on my work. 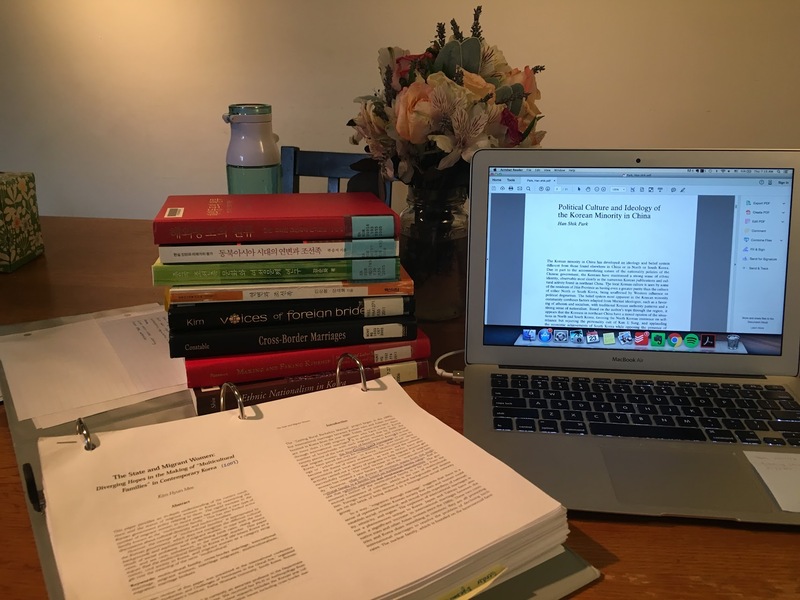 After sorting through my anxieties about the relevance of my research, I’ve regained momentum and confidence, and I am better able to grapple with the questions that I constantly ask myself. Currently, I’m reading about the ethnic conflict and tensions between English and French immigrants in Canada, and am finding interesting correlations between language policy in France and Quebec based on ethnic and national unity and identity. I’m becoming more comfortable talking about my research with others, and am becoming more confident in my knowledge about French language policy. Perhaps one of the most helpful pieces of advice I was given was how important it is to clear my head once in a while. Sitting down and reading for hours at a time can be a mundane task. I’m interested and passionate about the work I’m doing, but I’ve realized that my productivity during the day increases when I take some time off from my work. 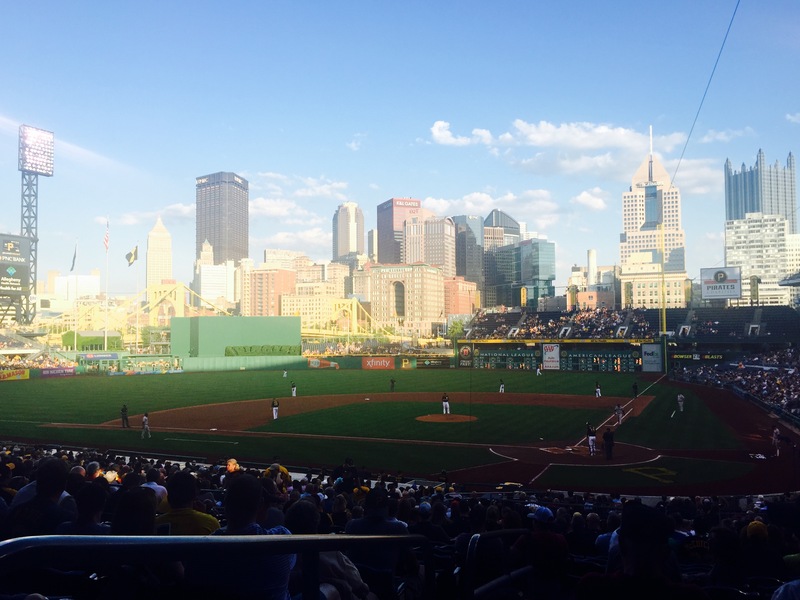 Whether it be Skyping with a friend who is abroad or going to a Pirates baseball game, I’m learning more about the importance of finding balance between work and taking time off. It’s been two weeks since I’ve returned to Pittsburgh, and I am already knee-deep into my research. If you haven’t had a chance to read about my project, I will be examining the return migration of Korean-Chinese women to South Korea as migrant brides. A little background information: The Korean-Chinese are Chinese nationals of Korean descent, and one of the 55 officially recognized ethnic minority groups in China. A large majority of the Korean-Chinese community resides in a province called Yanbian in Northeast China. In recent years, Korean-Chinese women from Yanbian have been migrating to South Korea in large numbers, mostly through international marriages to South Korean men in rural regions. I am interested in understanding the migration experience of Korean-Chinese women, and, in particular, I want to explore how they negotiate notions of kinship, gender and ethnicity to create a more flexible sense of belonging and citizenship. I am really excited to be spending this summer researching the return migration of Korean-Chinese women, and I am very grateful to the Dietrich Honors Fellowship program for providing me an opportunity to pursue this project. I first became interested in the topic last semester, when I was taking a course called “Trafficking in Persons” with my wonderful adviser, Judith Schachter. Though I ended up writing my final paper for the course on Korean-Chinese marriage migration to South Korea, I felt that I did not have enough room to explore all the complexities of the topic. I believe this summer will give me the time and space necessary to develop my ideas further and make the necessary connections between the overarching themes. This research project is one of personal interest to me, because of its connections to my background as a female immigrant from South Korea. Throughout my life, I have also had to negotiate multiple cultural and national identities, fluctuating between life in South Korea and the United States. I believe that gaining an understanding of the Korean-Chinese women’s migration experience will provide me with an opportunity to reflect on and come to terms with my own experiences as an immigrant in the United States. So what exactly does my research entail? A large portion of my research will be based on fieldwork, which will involve participant observation and in-depth interviews with Korean-Chinese women in Seoul, South Korea and Yanbian, China. I will travel to Korea in August to conduct research there for a month, and spend my fall semester in China through a study abroad program. During the final month of my study abroad program, I will have an opportunity to travel to Yanbian and conduct independent research. Because I will not be able to conduct firsthand research until the end of summer, my current goal is to read as much existing literature as possible. I’ve been spending a lot of time browsing through the East Asian Collection at the University of Pittsburgh’s Hillman Library, which I’ve found to be an amazing resource. I’ve been pleasantly surprised at the amount of sources they had available on the topic, in both Korean and English. I’ve also been revisiting some of the older sources I had gathered last semester while I was taking Judith’s course. As I learn more about the topic, I am becoming increasingly aware of its intricacy. So many different socioeconomic and cultural factors, such as South Korea’s rapidly aging demographic, rural gender imbalance, Korean ethnic nationalism and transnational economic inequalities, are entangled with one another to influence the lives of Korean-Chinese migrant brides. These factors are further complicated by the Korean-Chinese migrant women’s sense of agency, kinship relations and distinct cultural and ethnic identity. While I realize that the focus of my research will need to be more narrowed down in the future, the trajectory of my research will depend heavily on the findings of my fieldwork. So for now, I am trying to keep an open mind and absorb as much information as possible. When I am not burying myself in the giant pile of articles and books, I find myself busy preparing for my trip to Korea and China. I finally purchased tickets for my flights this week (woo-hoo! ), and the fact that I will be abroad for an entire semester is really starting to hit me. With the trip coming up so soon, I’ve been trying to reflect on my role as a researcher and to be more thoughtful about my methodology. My dual identity as both an insider and an outsider will put me in a unique position throughout my research process. In the sense that I was born, raised and educated in South Korea for 11 years, I could be considered an insider, but the nine years that I’ve spent in the United States also gives me the perspective of an outsider. I hope that I can balance these two identities to be more perceptive and sensitive to South Korean culture, but also to maintain objectivity as a researcher. I have to admit, I am feeling a bit nervous about doing fieldwork, but more than anything, I am excited to immerse myself in the field and listen to the stories of Korean-Chinese marriage migrants. I hope that my research will contribute meaningfully by genuinely representing and amplifying their voices, which too often go unnoticed. I wrote about isolation this week. Isolation is typically when a person is separated from the rest of the world physically; however, humans mentally distance themselves often every day. When someone says that she “zoned out” she isolated herself from the conversations and activities happening around her. She went within her mind to a place where there was only herself and her thoughts. So isolation doesn’t have to involve physical distance. It can also involve emotional or mental distance. the door away from its frame. 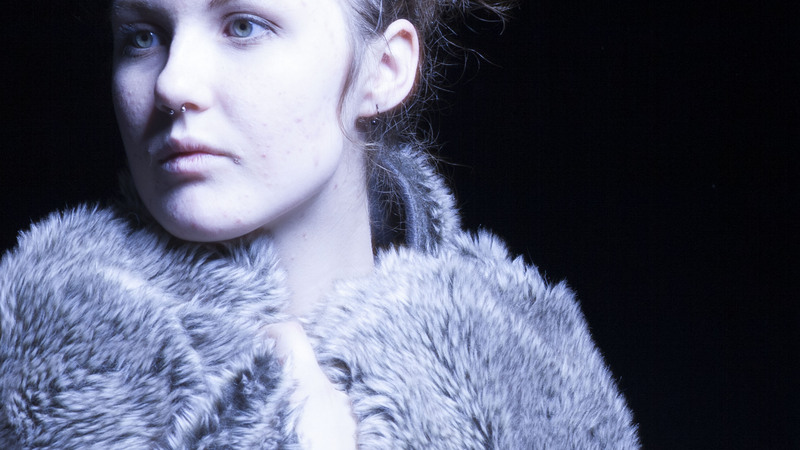 I left the Kesha concert exhausted and covered in glitter – not sure what I was expecting. The last week of my life featured a series of related events ranging the gambit from soul soaring to heartbreaking. I attended Pittsburgh’s PrideFest. I went on a date with the air of potential. A tragedy shook me to the core. Yet another fictional queer woman was killed by a writer’s keyboard. Last Sunday, I wore my striped rainbow button-down to Pride and tried to cheer loud enough to drown out the usual bigot with a bullhorn and a sandwich board reading “God hates f*gs.” I found out about Orlando at a Crazy Mocha, on my friend’s and my post-parade iced tea and wi-fi break. I’d been happy, unashamedly alive and then the news was everywhere. Fifty people were dead, gunned down at a nightclub by a man who sandwich board guy would have high-fived. These were my people, killed somewhere I would’ve felt safe. When turned inside out by emotion, my first instinct is usually to write. So this week I tried to turn some of my helplessness into fiction, to lean in to empathy and hopefully make some sense of this grief. But in a lot of ways this story doesn’t feel like mine to tell. Pulse was a club frequented by lower-class minority and immigrant communities, and the shooting happened on “Latino Night” – the majority of victims were Latinx themselves. As a writer who prioritizes diverse representation, I’ve designed the parameters of my fellowship project around it. I want to represent queer people from as wide a range of experiences as I can manage, with as much authenticity and respect as possible. But I will never be able to fully understand the experience of those who lost their lives that night in Orlando, so I still agonize over the question: Do I have any right to write from a perspective that’s so beyond my experience? It’s a difficult problem that I haven’t solved yet. My proposal is for a series of connected stories with switching perspectives, but that plan may change if I decide that some voices shouldn’t be mine to assume. One thing has become very clear to me this week. No matter what stories I write for this collection, I refuse to leave any bodies. Queer characters are still so few, and three-dimensional queer characters even fewer, that every one killed off (and there have been so many) feels very personal. Every shock value death and noble self-sacrifice, whatever the writers’ “good” intentions, sends the message to LGBT viewers that they are not valued, that they are disposable, that they will never find happiness. I’m so tired of it. The “Bury Your Gays” trope is old and stale and terribly destructive. I’ll make a promise to you right now: It won’t be all sunshine and rainbows for my characters, but — in these stories — everyone lives. Something that’s bothered me about this fellowship is the fact that it indirectly forces me to come out at every event, meeting and discussion related to it, mostly to relative strangers. It forces me to get personal, to subtly and not-so-subtly point out where I fit into all this. Being part of this community (yep, I’m bi – surprise, surprise!) has shaped my identity and enriched my life in innumerable ways. Still, it makes me uncomfortable to think that it is the first and practically the only thing many people connected with the fellowship know about me. My gut instinct is to go on the defense, to say that my orientation is a) none of your business and b) only a fraction of who I am. But I’m fighting back against that impulse. Lately, and forever really, the LGBT community has been battered by violence from all corners. There are people in the world who legitimately want us dead. What better way is there to fight back then to live – stubbornly, loudly, joyfully. Maybe we should revitalize that classic slogan of the ’90s: “We’re here, we’re queer, get used to it.” Because living is the bravest thing we can do. I’ve debated whether or not I should even make a blog post about this issue, but I’ve decided that it would be more beneficial to make a post not only because it would make later posts clearer but also because it demonstrates a way to handle the hurdle I’m encountering, which is bound to come up in any major project. Also, I believe it’s important to acknowledge my struggles as well as my progress. To put it simply, I can’t study authenticity anymore, and I have to focus on a different topic: intrinsic motivation. I started my project thinking that I would study how people can make more authentic sacrifices in their relationships, or, in other words, to make a sacrifice for their partner because they truly want to. So the old construct I had was authenticity: the degree to which you are true to yourself and how that shows through your actions, thoughts, beliefs, etc. The construct I must work with now is intrinsic motivation: the degree to which you do an activity because you truly enjoy doing that activity and get pleasure out of it. While I explain these constructs separately, they are definitely related and feed off of each other. It just happened that the way I first framed my study, authenticity seemed to be the more appropriate construct to study, so I went with authenticity as my primary focus instead of intrinsic motivation. As I furthered my research and started getting into making measures about authenticity, my adviser noticed that the authenticity literature was messier than we anticipated. It was hard to find past work on authenticity that matched up with what I wanted for my project, and the past work did not do a good job of clearly defining authenticity in general. My adviser then suggested to focus on just intrinsic motivation because its past literature was cleaner, and it would be easier for me to measure and to work with. It was hard accepting this change of focus. I don’t want to say that my background research on authenticity was for nothing, but frankly, I can’t use the information I’ve found on authenticity anymore, and now I have to do more research on intrinsic motivation. That being said, I’m fine (and rather relieved) now with this change (or sacrifice, if you will). I think everyone has gone through letting go of something you’ve been invested in from the beginning and knowing how hard that can be. But if I didn’t decide to move on, my project would probably have even more issues and cause me more grief later. So, sorry authenticity, it was nice to have known you, but I’m afraid our relationship was not meant to be! Anyway, once I get my intrinsic motivation research up to speed, I’ll be back to making measures, and hopefully I will get a better picture of what my procedure will be in a week or two. I’ve been reading a lot lately. I love reading because it allows me to fall into another world where everything and everyone in it feels so real. It lets me lose track of time, so I don’t even notice when hours have passed and my mind spins, still lingering in that fictional world. I think that’s what’s so amazing about writing and storytelling: Simple words on a page can make us care for places we’ve never been to and people we’ve never met. It’s like saying goodbye to a friend when the book closes and the story ends. With the start of my own project, what I’ve found most challenging so far is just that — trying to create characters that feel less like they’re made of adjectives and more of flesh and blood. I first wanted to explore the story of Vietnamese Americans in this project, because I think often in literature, ethnic identity can become the entire defining feature of that character’s identity, erasing any other interesting facets of who they are. I find this often sad and disappointing, as readers are robbed of the chance to gain a fuller perspective of other people and cultures that they may not know a lot about yet. While working on ideas for these short stories, I’ve already spoken to my grandma and friends for inspiration, but the process isn’t always so easy. Sometimes, I feel ready to write with ideas and characters bouncing around in my head, but when I rush to a computer, my mind goes blank, as if those ideas had already floated away like balloons. To try to hang onto them, I’ve been carrying around a small journal with me everywhere. I seldom write about my day at length in journals, but I’ve actually scribbled and drawn in it a lot lately. They’re never fully formed thoughts or sentences. I just want to capture moments of possible inspiration from my day: something funny a man said on the bus, an argument between a girl and her mother at Giant Eagle about squash, or a couple of Comcast guys gossiping about other Comcast guys. (I swear I’m not a creep!) And then, when I sit down to write later in the day, I can look back at these pages and find a glimpse of a seed, a character ready to burst free and be heard. I am a planner. I plan my daily activities, my meals, I even plan out my time to relax. I like organization, structure and clear-cut goals. However, since starting my summer research, every time I open my laptop I am reminded of just how unstructured my life currently is. I use my laptop for almost everything, from taking notes to watching Netflix. Despite this, I do my best to keep it organized, with everything in its correct folder, and everything not in use closed down. At any given time, I usually have three apps running — messaging, music, and Google Chrome — with a maximum of two tabs open at a time on Chrome. I’m not sure if you can tell from the attached photo, but there are nine — I repeat, nine — tabs open on my laptop currently, all having some connection to my research. To me, this is a nightmare. To me, these nine open tabs not only represent my research, but they represent just how unstructured this process is going to be. And that’s another thing: This is my research. Not a research study run by the lab that I work in, not a research project my group is working on for a class, but my own, personal research idea and question. I am in charge of this study, how it will grow and progress and whether or not it will succeed. Once again, this is a nightmare to me. I have never had this much uncertainty in my school work, and it scares me. However, I have also never had this much control, and that is what excites me most about this opportunity. My father is a psychologist who told me on multiple occasions when I was growing up that I have control issues. Well, Dad, you were right! I do like to be in control, and now all of my wildest, “control freak” dreams are coming true. I have only been working on my research for about two weeks now, but already I have a plethora of ideas for how to shape and mold this project. For example, in a meeting with my faculty adviser last week, we, in under 30 minutes, were able to add an entire new dimension to my study, broadening not only the procedure and methods, but more importantly its possible effects. I left this meeting feeling empowered and excited, feelings I seldom get from doing school work. It is feelings like these that help me to move past my fears of uncertainty and disorder, and continue to work toward something that I am truly passionate about. As I head into this summer, I am both scared and excited. However, more than anything, I am thankful. Thankful to my faculty adviser for agreeing to work with me to try to find answers to a research question that I am passionate about; thankful to Dietrich College and the heads of the Honors Fellowship for allowing me to take part in this wonderful program; and thankful to myself for never growing out of my “control freak” phase.